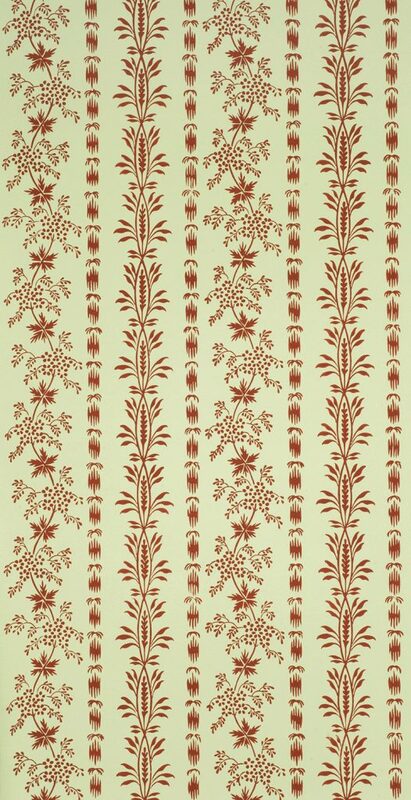 This striped flowering vine pattern was quite popular at the turn of the 19th century. It exists in at least two virtually identical versions, and has been found throughout Eastern Massachusetts. 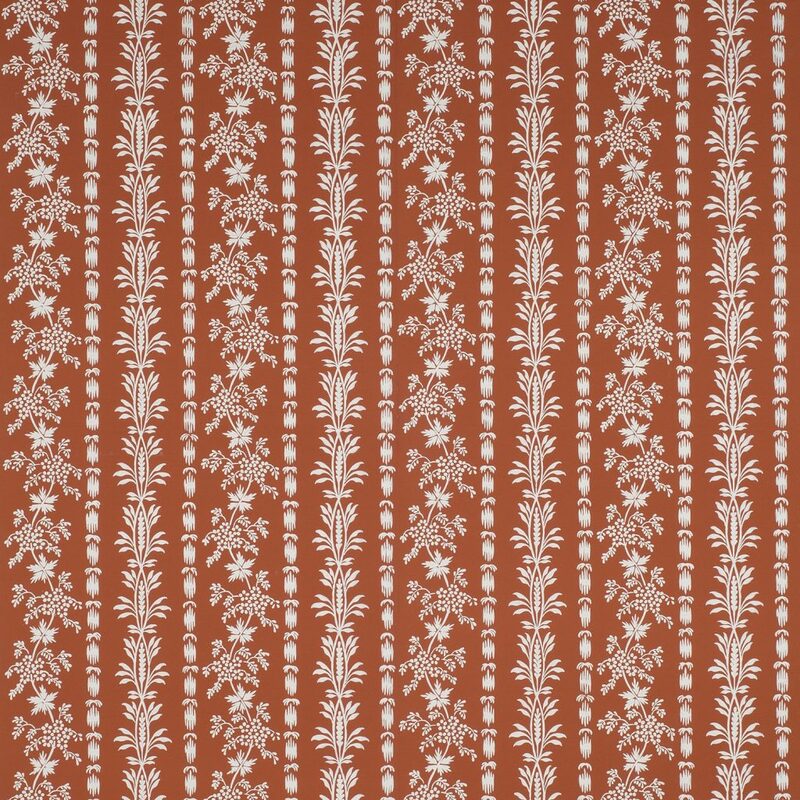 Adelphi’s pattern is from an example in the collections of Historic New England. 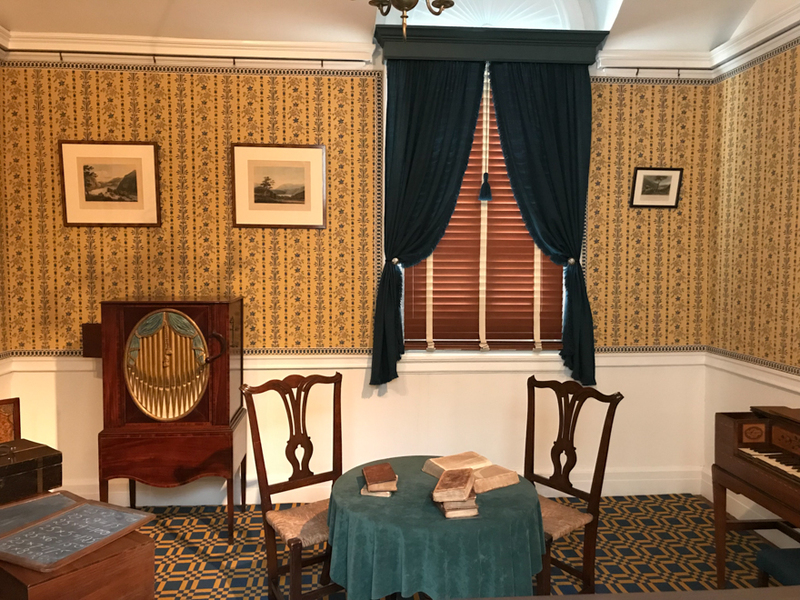 It is from the Wheeler House in Concord, where it was found hung over Adelphi’s “4 July 1776” paper. HNE has additional examples from Sandwich, Newbury, Dorchester, and Boston, all in Massachusetts, which are printed with the same blocks in different colorways. HNE has concluded that all of these papers are produced by Moses Grant (1744-1817) of Boston. Imperial Measurements: Repeat 7 inches, width 20 ¾ inches, length 11 yards, straight match. Metric Measurements: 17.8 cm, 52.7 cm, 10 m.